Set your standards high by staying at Fairfield Inn Roseville, the leader of hotels in Roseville, CA. Our recently renovated Roseville lodging is in the heart of the city, providing easy access to downtown Sacramento. We welcome business, government, & leisure travelers. Corporate guests appreciate being near Hewlett Packard, Union Pacific, Tesla, Williams Sonoma, & Sutter Medical Campus. Leisure guests love being close to Old Town Sacramento, William Jessup University, Thunder Valley Casino & Resort, Sunsplash Water Park, & Hardwood Palace. Our hotel near Folsom offers great amenities and services, such as free hot breakfast daily, a heated indoor pool, & free WiFi. Each guest room features spacious work areas, premium channels & plush bedding. Take advantage of our Marriott Bonvoy program to save even more. 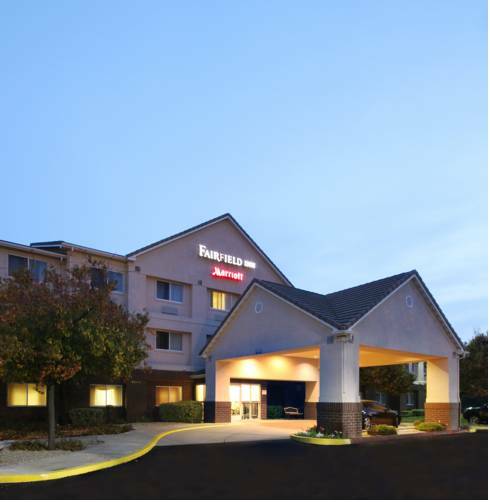 At Fairfield Inn Roseville, youre our #1 priority. We promise youll be satisfied, or well make it right. Ask us about the Fairfield 100% Guarantee.